We’d love your help. Let us know what’s wrong with this preview of A Second Teddy Robinson Storybook by Joan G. Robinson. 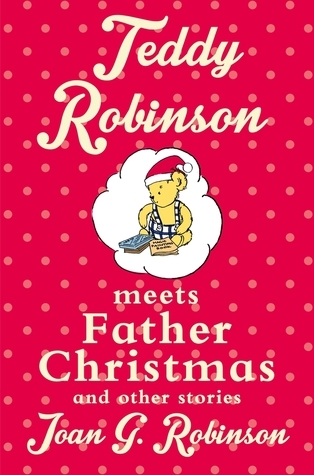 Join Teddy Robinson as he has goes to the fair, meets father Christmas and plays babysitter. He's sometimes rather shy and sometimes a bit of a show-off - but with his love of rhymes and his great imagination, Teddy Robinson is the best friend any child could have. Teddy Robinson has been enchanting readers since his first appearance in 1953. To ask other readers questions about A Second Teddy Robinson Storybook, please sign up. I loved Teddy Robinson when I was little - more than Winnie The Pooh or Paddington Bear. He is a delightful fellow who has great adventures and makes up funny rhymes. Joan G. Robinson was an excellent writer for children, she saw the world through their eyes, and was neither preachy nor judgmental. The illustrations are delightful.